Their long-awaited brewery and venue is finally open and their brewery is pretty much ready to start making beer. All of which means this beer could well be the last brewed by Dan Dainton and his merry band of assistants on a multitude of breweries around Victoria – and it's one the Dainton crew reckon is one of their best too. 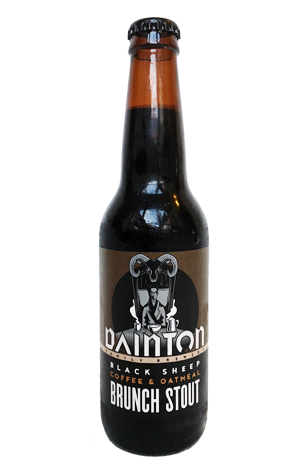 In other hands, the addition of coffee (in extract form) and flaked oats to a stout may well lead to it being tagged a breakfast stout, although here they've gone for brunch. We'd posit that, were it not for the fact that we're in Australia and not the Home Counties, they could have gone with "Elevenses Stout". Why? Well, the coffee is kept in check, playing second (or third) bassoon to the chocolate characters that lead the way. The oats keep things soft and rounded, while there's just enough roast to balance it out while leaving the beer very much in sweet stout territory. If it is the last gypsy brew for Dainton, it's a fine sign off. That it was brewed at Brookes in Bendigo should perhaps come as no surprise as Doug's something of a master when it comes to fulsome, darker ales.